Our latest ShopShare brought together gelato extraordinaire Black Vanilla with magnificent McQueens Florists in what can best be described as a blending of beauty. These two bespoke brands joined forces to create a very special ShopShare that left customers asking for more, with mentions across many a publication including Stylist, The Sunday Times, Telegraph and You Magazine. Black Vanilla created limited edition flower-infused gelato flavours, inspired by McQueens seasonal bouquets for a 3 day pop up. Surrounded by an array of stunning flower arrangements the Black Vanilla team set up a gelato stand in the middle of the store featuring English Rose Petals, Mint & Lime and Madagascan Vanilla flavours. 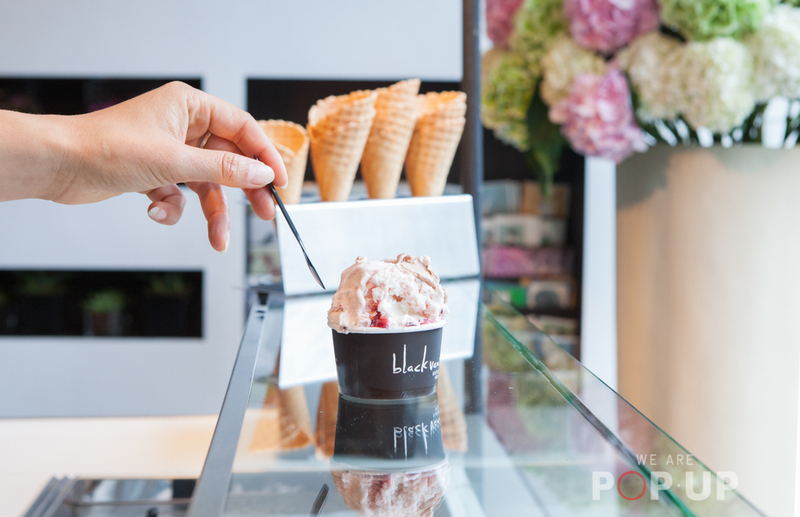 This special occasion was used to invite VIP clients to free tastings and for passers-by to try samples and purchase scoops if they wanted. Top tip: for more insider information check out these blog posts on how to work collaboratively and how to choose the right brand match. Powered by We Are Pop Up, McQueens and Black Vanilla came together to discuss the ShopShare. Both parties were inspired by the potential to work together. 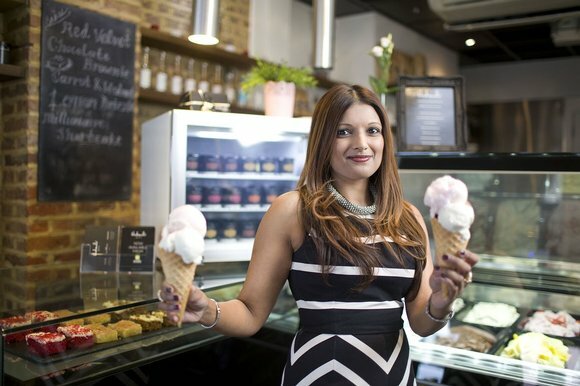 Once dates and times had been arranged, contracts signed and logistics sorted, they co-ordinated a PR drive dropping gelato samples and beautiful posies along with information about the ShopShare to a variety of press. Overall the experience was positive. For Black Vanilla “It was brilliant to have the floral aesthetic and to create some artisan flavours that worked a treat. It was very useful having We are Pop Up arrange the contract and smooth out any wrinkles.” McQueens were similarly pleased saying “we had a flurry of activity across all of our media channels.” which helped them to achieve their ShopShare objective. If reading about this unique, creative collaboration has made you want to find your own perfect brand match, find our latest ShopShare listings here. Previous Previous post: Ask the experts – how do I play music at my pop-up?